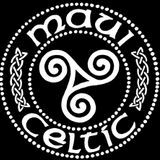 The archive of previously aired Maui Celtic Radio Shows. 2 hours of great Celtic music played by Hamish Burgess, airing internationally 5 times a week. Full details at www.mauiceltic.com/radio.htm. Currently on Tuesday on Celtic Music Radio (www.celticmusicradio.net) 95fm in Glasgow, Scotland. Sundays on KAKU 88.5fm Maui. Started on Maui local radio in 2003, until the station changed hands in 2014, moving to KAKU in &apos;15 . Many thanks to show underwriters The Irish Rovers and Maui Celtic.